Made of heat treated stainless steel for durability. 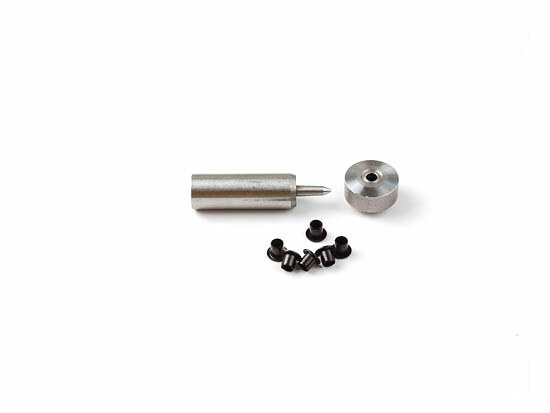 Used for setting 3/16" rivets with a die guide (avalible as a set here). Lower start up for setting kydex rivets than the professional press.